A quaint mountain village of whitewashed Canarian houses with orange to brown clay roof tiles and narrow cobblestone lanes sandwiched between valleys is more than stunning. It is breathtakingly picturesque. 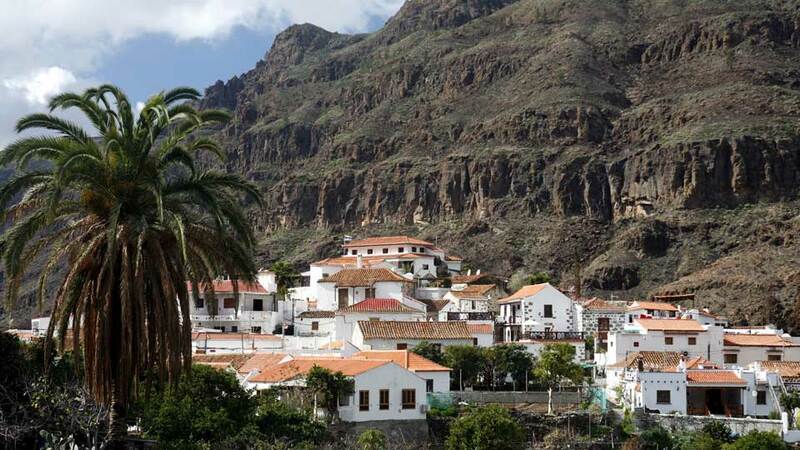 Situated in one of the most captivating natural landscapes in Gran Canaria, Fataga is a very charming day-trip escape especially to those staying on the coast. The short travel up to the Fataga Valley famously referred to as the “Valley of the Thousand Palms,” does not disappoint. The twisty drive itself is such a splendid experience as the mountainside road offers so many magnificent sights to see. After views of impressive cliffs, lush groves of palm and fruit trees warmly welcome guests on the way to what is considered the most beautiful village on the island. A good 2000 years ago, Gran Canaria was home to the Guanche natives. The conquest of the island by the Castilles started in 1478 and ended on 1483 when Guayarmina Semidán, the queen of Gran Canaria, surrendered. At the turn of the 16th century, in and around the ravines of Fataga then known as Adfatagad, many of the final battles between the Guanches and the Spaniards took place. The 19th century Fataga was not only a place of enthralling beauty, but it was also a rich agricultural and farming land. A prosperous, self-sufficient farming village for around 650 dwellers, it owed its success to the water source known as “El Cercado de Fataga” (The Orchard of Fataga) or “Fuente Grande” (Great Spring). Although still abundant with resources, its population has since declined. Nestled in the heart of the Barranco de Fataga, the biggest and most breathtaking gorge in the island is a small charming village of the same name. It is impossible to not to fall in love with this place. The pleasant drive up to the mountain village and the view of nature’s masterpiece is dreamy. Walking in the cobbled lanes between old whitewashed Canarian houses with uniform terracotta roof tiles feels like a scene out of a movie. Sipping coffee while comfortably seated on a café patio and admiring the magnificence of the surroundings is like straight out of a travel magazine. A visit to a small village so beautiful, it feels like a moment of reverie. Often the first stop for tourists, this little village’s only church, San Jose, dates back to 1880 and is dedicated to its namesake. It has a simple design that matches the old Canarian houses perfectly, and the massive wooden door showcases its antiquity. Full grown Laurel trees surrounding the plaza only makes it more spectacular. Although small in size, it is popular with both tourists and locals because of its simplicity and timeless elegance. 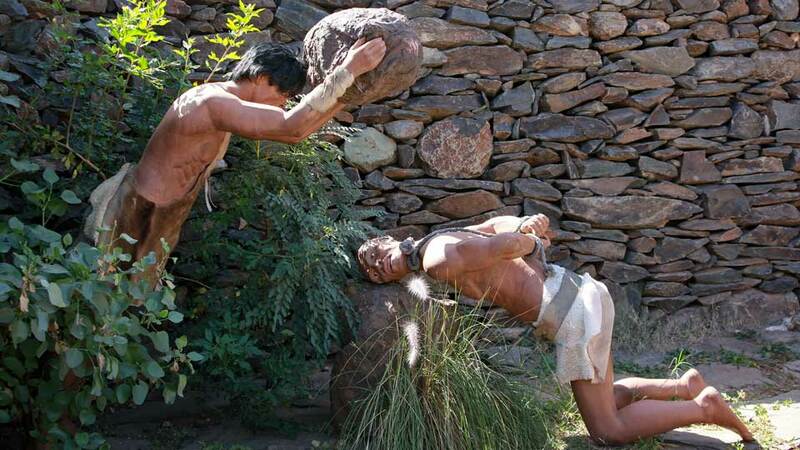 A visit to Mundo Aborigen showcases the Guanches, and their way of life adds meaningfulness to an already excellent Gran Canaria vacation. Beautifully situated inside the Ayagaures Natural Park that also overlooks the majestic Barranco (ravines) de Fataga, the recreation of the ancient community has over 100 life-size figures that offer a glimpse of the daily Aboriginal life. The trail and open-air museum exhibit what Canarian living was like 2000 years ago. What sets this place apart from other cultural and historical trips though is that visitors can interact with real livestock animals and also take the tour accompanied by a dog. Truly, the Mundo Aborigen escapade is like no other. Another tourist must-see is the art gallery of Friedhelm Berghorn, a renowned “master of glowing colors.” It lies on the side of the village and is unmissable. Just by the entrance, a colorfully painted headless lady mannequin is seated elegantly next to an eye-catching technicolor sign that says, “Galeria de Arte.” And the inside is just as delightful. Cobbled walls and wooden beams are in perfect contrast with the radiant Conceptual Art paintings of the artist. As such, it is a must-see especially for nature lovers and art enthusiasts. Many expect nature immersion when visiting Fataga. While that is true, it is also a cultural and historical journey to the pre-Hispanic age of Gran Canaria. Near Barranco de Fataga, also in San Bartolomé de Tirajana, lies the largest Aboriginal cemetery on the island. It houses 809 tomb structures in a stretch of almost 14 hectares of land and offers a splendid view of the ravine. 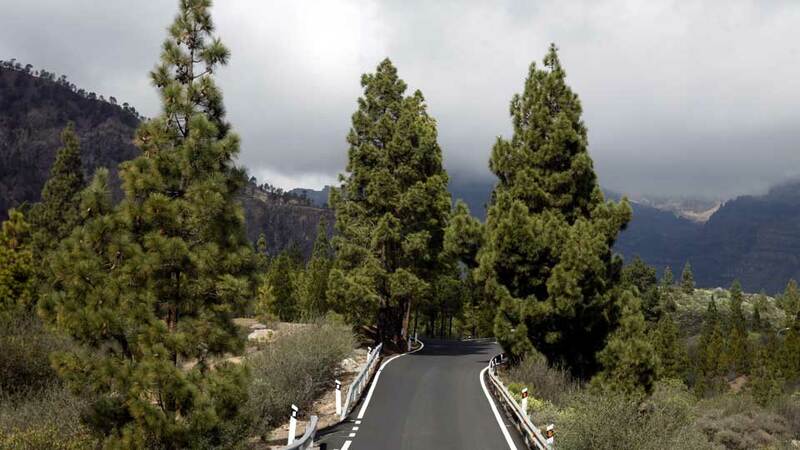 Gran Canaria is home to 69 beautiful presas (reservoirs), and tourists can see 2 of the finest on their trip to Fataga. Presas de Chira and Las Niñas are both in San Bartolome de Tirajana and are popular destinations when in the mountain village. Although swimming is forbidden, fishing while admiring the scenic and tranquil view is allowed. No matter how amazing and fun, all trips must sadly come to an end. Unlike others though, Fataga will bid you a beautiful goodbye with a camel ride and a photo opportunity with an ancient water mill. Further down south the lovely little mountain village, the Camel Safari Park is waiting to give tourists a lasting memory of the valley of Fataga. 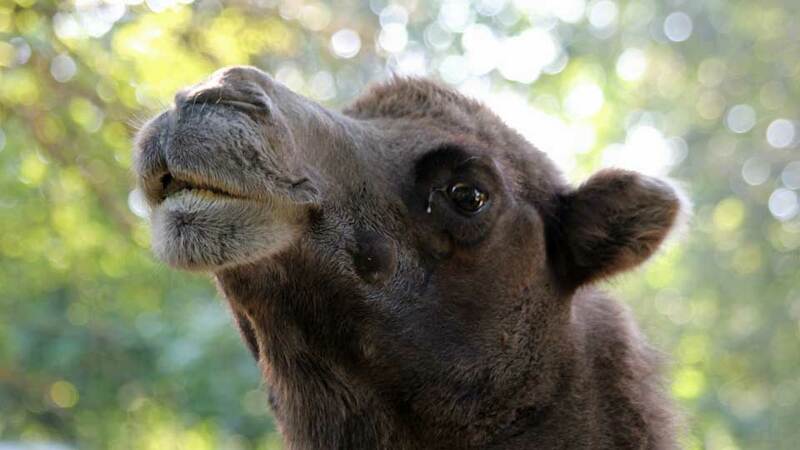 For starters, there will be a brief introduction to the life of a camel, followed by a ride through the enchanting valley, and a camel show. The best part about it? A possible camel goodbye kiss and a photo to prove it. Just past Fataga is a restored ancient water mill that lures tourists with its archaic appeal. With an enthralling view of the mountains as the backdrop and surrounding groves of palm trees, it is precisely the place for that postcard-perfect moment everybody wants. Playa del Ingles and Maspalomas are just around 30 minutes away from Fataga. As such, many tourists vacationing there take day-trips to Fataga. Global Bus no. 18 serves Fataga Village. It departs from Maro de Maspalomas and continues as far as Tejeda on some days. Plan the trip carefully as there are departure schedules to follow. Many tourists also prefer to hire a car (or even a motorbike) to get to Fataga and freely explore the area. Another option is to contact Maspalomas Taxis on this number: 928 154777. Finca Molino de Agua Hotel Rural Restaurante is the only hotel in Fataga village and, as the name suggests, it is also a restaurant and quite a good one at that. Styled also the old Canarian way, it gives a cozy and friendly feel that is a Fataga signature. It is complete with a pool and an enormous outdoor restaurant; however, it is the surrounding natural beauty that impresses every guest. Take a walk and see the many animals they raise within the grounds or the old water mill that is also a tourist favorite. Finca Molino de Agua Hotel Rural Restaurante is a not only a place to stay, but it’s also a place to see. Many consider the El Albaricoque Fataga Restaurant the perfect place to escape for lunch. People rave about their garlic bread, goat and rabbit stew, and Canarian potatoes paired with either the local wine or sangria. What they are most famous for though is their back terrace that offers every diner a fantastic view of the outdoors. El Labrador Restaurant makes every plate a colorful masterpiece. People love their Labrador salad made up of lettuce, tomatoes, corn, onions, thinly-sliced carrots, and tuna, topped with a slice of pineapple and a white asparagus. The other crowd favorites are the papas arrugadas, mojo picón and pimientos de pardon. In this restaurant, they serve amazing dishes that are also satisfying to the eyes. The only hotel in Fataga, Finca Molino de Agua Hotel Rural Restaurante is also a favorite restaurant. Enjoy their famous mojo potatoes, tapas, fried cheese with tomato marmalade, and their freshly squeezed orange juice (picked straight from their garden), while appreciating the wondrous landscape. Tourists flock to this place, and to eat is only one of the many reasons why. What it lacks in size, it makes up for in its myriad of richness. This quaint little mountain village is rich in history, in many awe-inspiring natural marvels, and in simple but fascinating architectures both ancient and recent. Like a multi-faceted a gem, it has many bedazzling sides to offer. One only needs to take that ride through GC-60 and let Fataga redefine island vacationing.